When a police officer kills an unarmed black person, the mental health of all black people suffers. The trauma takes a toll on black Americans regardless of a personal connection to the victim, according to a study published in the journal The Lancet last year. 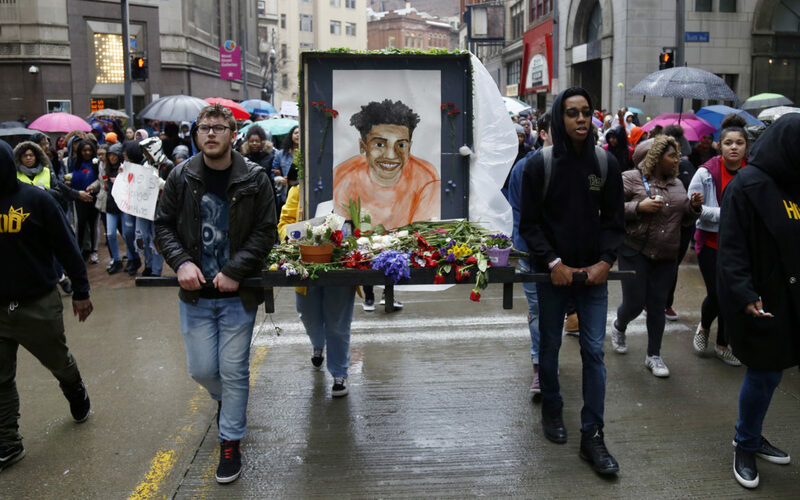 Researchers published the study two days after former East Pittsburgh police officer Michael Rosfeld killed black teenager Antwon Rose II. Its major finding: exposure to such tragedies could add 1.7 additional days of poor mental health per black person every year. “What we’re trying to do is say, ‘What are the health impacts of these events?’” said Jacob Bor, an assistant professor at the Boston University School of Public Health, and one of the authors of the study. Now Bor is researching if the trials of police officers who kill unarmed black people and were acquitted have a similar effect on mental health. With Pittsburgh joining the ranks of Cincinnati and Tulsa, Okla. as cities with high-profile deaths of unarmed black boys and men at the hands of officers and subsequent acquittals, members of Pittsburgh’s black community say they are working on healing. The question is: How do people affected by both begin to heal? Bor said his study into the community-wide stress and trauma that results from police violence is a “pretty rare insight into the effects of structural racism” and that addressing the underlying problem of police violence is a start. But when structural solutions aren’t readily available or effectively adopted, many people are coping alone or in small groups through the practice of self-care. Pittsburgh-based artist, activist and nonprofit leader Jasiri X echoed that sentiment. Jasiri X, who runs the nonprofit 1Hood Media, said the conversation about self-care shouldn’t only focus on what people do as individuals. It’s also imperative that local government, schools and other institutions prioritize the care of black people. “What measures are being put in place to keep black people safe, to keep black people healthy?” he asked. Though some nonprofits, like FOCUS Pittsburgh, are offering services to those affected by Antwon’s death and the trial verdict, institution-based support services are rarely available. Because of that, self-care can be effective because it can help a person’s mental health and, therefore, their physical health, said Fawn Walker-Montgomery, an activist, McKeesport mayoral candidate and mental health professional. First and foremost, Walker-Montgomery said it’s important to center Antwon’s family before focusing on themselves. The family members are the ones who lost their son, brother, nephew and grandson, she said. Walker-Montgomery, a senior clinician at the Allegheny Children’s Institute, said it’s important for people to practice mindfulness. Self-care is something Christian Carter is still learning. Carter is one of the youth organizers who helped plan the city-wide student walkout the Monday after the verdict and has been involved in community demonstrations since Antwon’s death. Carter, one of the founders of Youth Power Collective, said he’s still figuring out what self-care looks like for him but that he’s drinking lots of tea and learning he has to unplug from social media and the news from time to time. As the student walkout on March 25 was wrapping up, he said he was looking to take a break. “I'm really looking for some rest after today, like three days of just resting,” he said. 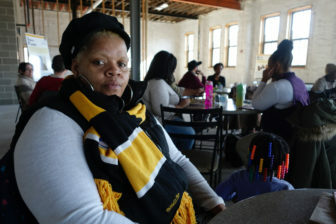 Saundra Cole McKamey, 54, is a Hazelwood resident and nonprofit leader who attended the Rosfeld trial to support Antwon’s family. She said she’s started practicing a self-care routine in the mornings. After she wakes up, she meditates and then exercises. Then she takes her dog for a walk. After that, she begins work for her nonprofit, P.O.O.R.L.A.W. — People of Origin Rightfully Loved and Wanted. The nonprofit is focused on community programs in Hazelwood, from a youth football league to job assistance. But, she said, she’s still learning that she needs to separate her “personal business” from the nonprofit. As the name implies, self-care is highly individualized. For some, it means practicing yoga or leaning on family and friends. Others are still learning what kind of self-care works for them and trying new things. Denise Graham-Shealey, a mother and member of B.L.A.Q.K. O.P.S. — Black Liberation Army of Queens and Kings Opposing Power Structures — has found a variety of ways to cope with the aftermath of the trial. The week before the trial began, she went “floating” at Levity in Squirrel Hill, meaning she literally floated in a tank of warm water for an hour. It costs $59. She enjoyed it so much, she said she wants to do it again as a way to relax. Other places, like Yogamotif in East Liberty and The Kingsley Association in Larimer offer free or affordable art, yoga and dance classes. Self Care Housekeeping and several local yoga teachers are partnering to offer free yoga and a meal. Graham-Shealey said she’s focusing on letting herself feel every emotion. And when her emotions have gotten too intense, she’s turned to music “to try to calm the beast.” Jazz, old school, a little rap — it all helps, she said. So does watching HBO series The Wire. During the trial, Graham-Shealey’s daughter sat by her in the overflow room watching. After court, she and other B.L.A.Q.K. O.P.S. members went out for drinks to talk and decompress, she said. Her daughter, whose in ninth grade, gives her hope, she said. “Make time for yourself...put yourself on your to-do list. Be intentional about it." One thing to be mindful of when it comes to self-care is triggers. Because Antwon’s death and Rosfeld’s trial were traumatic to many people, “There will be something that triggers you to June 19,” Graham-Shealey said. When that happens, Walker-Montgomery advised that people pause and focus on their breathing. “When I feel like I’m triggered, I’ll do some deep breathing,” she said. “Knowing your triggers” is important, she added. For some of the student activists and organizers who attended the trial and helped organize protests afterward, learning self-care is still a work in progress. They say they know self-care is important but figuring out how to do it is difficult. One of those young people is Nijah Simon, a junior at Pittsburgh Creative and Performing Arts who helped organize the city-wide student walkout. She’s so busy with school, organizing and extracurriculars that she doesn’t have much time for self-care. Nevertheless, she’s been able to lean on the Youth Power Collective and her friends for support. On the day of the walkout, she said she was feeling “super anxious” about it but that having the help of friends made her feel better. “My friends helped organize that, like they managed that with me, so I feel like if I can't do it someone else can,” she said. For Jasiri X of 1Hood Media, self-care looks like going to therapy and making art. 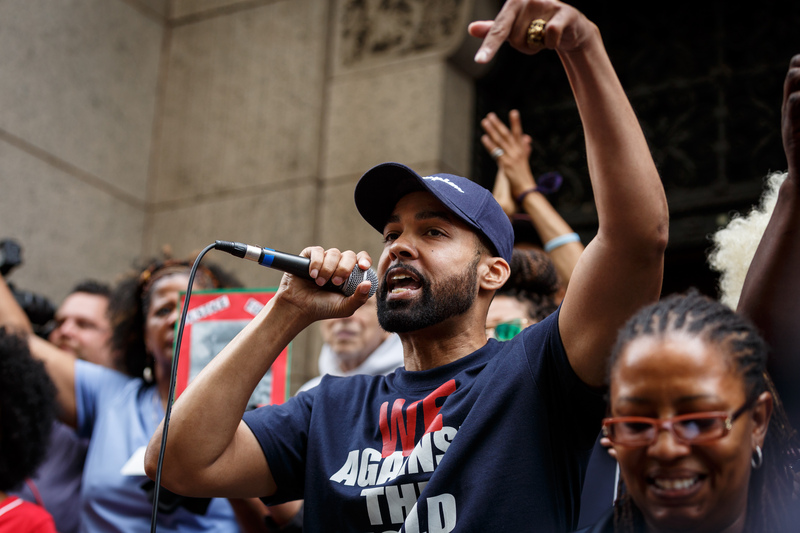 Seeing members of the community come together to support Antwon’s family has also helped Jasiri X navigate the stress of the trial and its aftermath, he said. Seeing the art created for Antwon’s family and others wearing purple — a color used to show support for the Rose family — has been “inspiring,” he said.